During TWBAS 2012, in a short, soul-searching sojourn on the boardwalk outside Jeff Fritz’s home, near Wilmington, North Carolina, the entire three decades of my professional career flashed across my mind as I contemplated an approach to writing the final article about The World’s Best Audio System 2012, "Quo Vadis TWBAS?" 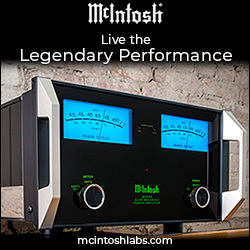 I remembered the introductory McIntosh story I’d written for Ultra Audio in September 2008, and thought it would be appropriate to continue documenting my other significant adventures. In Part One of this feature interview with Laurence Dickie, loudspeaker designer for Vivid Audio, we explored his foundational experiences and the gestation of his philosophy of sound reproduction by high-performance audio products. In Part Two we turn to Vivid Audio specifically, and to Dickie’s challenges and achievements in the past decade. Philip Guttentag (cofounder of Vivid Audio) and Philip O’Hanlon (US distributor), also present, each occasionally joined in. Peter Roth: Let’s turn to the present, and Vivid Audio’s Giya line of loudspeakers. I’m interested in the differences between the C125 bass driver used in the Oval series and the C125S midbass driver used in the Giyas. Laurence Dickie: They are distinct, different drivers. Giya-series loudspeakers are true four-ways. That means that the C125S, which some would call a 6.5" driver, has to operate only from 220 to 880Hz. Accordingly, the excursion requirements are far smaller than for the standard C125, which functions deep into the bass with a diaphragm travel of +/-10mm. In the C125S application, only a couple of millimeters of driver travel are needed to give us 120dB at crossover. This means we can concentrate the magnetic flux into a smaller zone -- a smaller gap length -- and so we’ve also taken the opportunity to reduce the gap clearances. 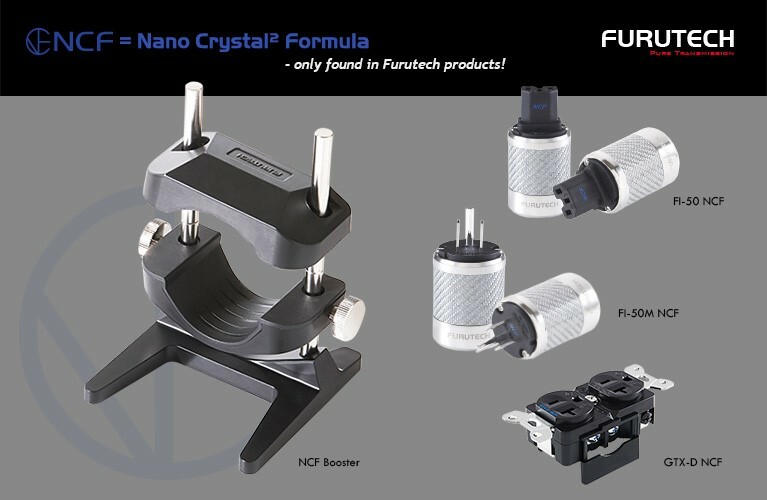 With tighter tolerances, the driver assembly is little bit fussier, and of course is more susceptible to contamination, but that is just a little reality of manufacturing -- which is fine, and in fact we have had no difficulty with it. We gain 3dB efficiency in the main passband. You wouldn’t be able to use the S driver in a full-range system because it wouldn’t plumb the depths. The excursion limit, the X-max (the length of the magnetic gap), is too small for a reasonable amount of sound output in the bass. 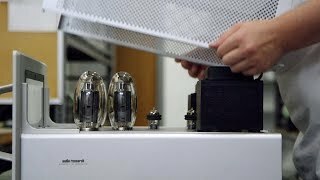 This is a continuation of my discussion with Albert Von Schweikert of Von Schweikert Audio. Part One covered Von Schweikert’s history as a speaker designer and how he broke into the business. 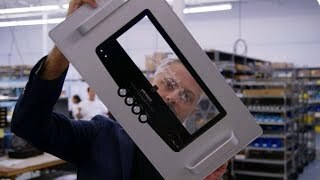 Part Two, below, discusses his present and future products as well as his current thinking on all things loudspeakers. Garrett Hongo: What about your new VR-44 speaker? Albert Von Schweikert: The VR-44 is different. It comes in either an Aktive ($20,000 USD per pair) or Passive ($17,000/pair) version. The Aktive is able to perform either close to the wall or out in the room, due to controls that adjust the bass level. The VR-44 Aktive might be seen as a full-range speaker with a built-in powered woofer system, but we also offer a Passive version that does not have the amplifier on board to drive the twin 8.8" woofers. 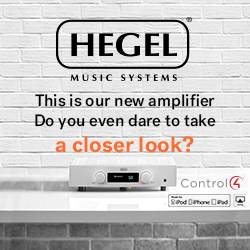 The powered woofer system does not alter the sound of the main amplifier. 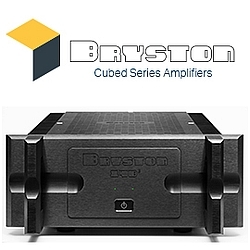 The onboard amplifier takes the sound of the main amplifier and boosts it up to 300W to drive the woofers below 100Hz. It’s basically just a power booster. 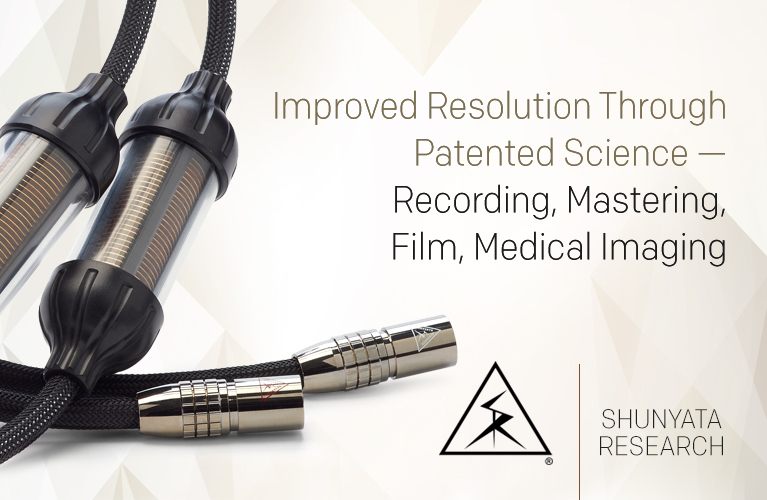 In effect, this design enables you to biamp without having to worry about outboard electronic crossovers, and will increase the dynamic range. If the customer owns a small tube amp but does not like the sound or large size of horn speakers, the VR-44 Aktive is their speaker. If the customer has a large amplifier with 100W or more and does not need biamp capability, the VR-44 Passive might be the better choice. From the invention of Bowers & Wilkins’ famous Matrix enclosure system to the development and design of the British company's inspiring Nautilus loudspeaker -- a groundbreaking icon of industrial design that looks as fresh today as it did nearly 20 years ago -- loudspeaker designer Laurence Dickie has assembled an enviable portfolio of innovation, and established a reputation for pushing the performance envelope with creative solutions. In 2001, following an introduction by Robert Trunz, former president of B&W, Dickie joined forces with Philip Guttentag to form Vivid Audio. The first Vivid loudspeaker models, the B1 and K1, were introduced in 2004, and continue to form the core of the company’s Oval series. These and all subsequent Vivid Audio speakers are notable in part for having been designed, from drivers to enclosures, entirely in-house, and manufactured at Vivid Audio’s factory in South Africa. Whenever I travel, I try to drop in on manufacturers, distributors, or dealers and check out what they have to offer, not only in terms of equipment, but also for their approach to audio. This past October, in New York City for a week of literary events of my own, I peeled off a couple afternoons to visit Jeffrey Catalano, owner of High Water Sound, and Wes Bender, of Wes Bender Studio NYC. Both are amiable acquaintances I’d met in demo rooms at the annual Rocky Mountain Audio Fest over the years, and I’d been increasingly curious about the lines they represent and their overall takes on our pastime. 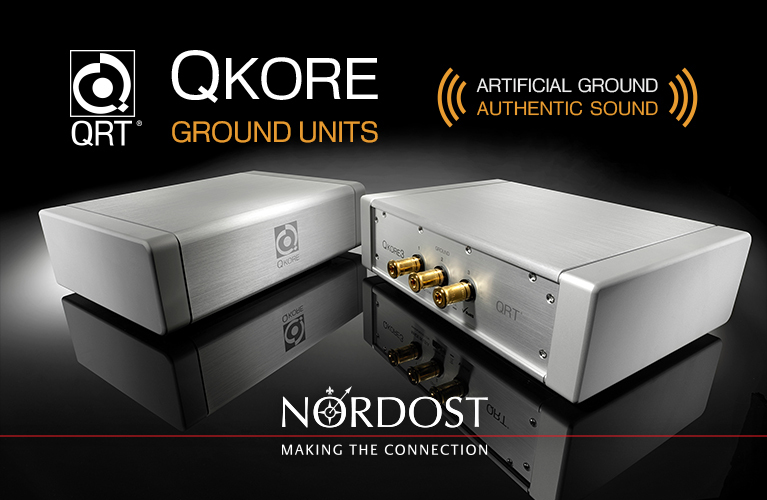 High Water Sound is a distributor of very special audio gear, mainly imports from Europe: from Germany, the TW-Acustic 10.5 tonearm and line of turntables, Cessaro Horn Acoustics speakers, Thöress Systems electronics, and WSS-Kabel wires; from England, Aspara Acoustics speakers and Tron Electric electronics; from Denmark, Hørning Hybrid System speakers and electronics; and the Thales tonearms from Switzerland. High Water’s domestic brands include Audience, Tri-Planar, Graham Engineering, Silent Running Audio, and Purist Audio Design. Jeffrey Catalano’s specialty is analog, analog, analog -- and then some more analog. His demo rooms at RMAF feature sensitive speakers, superb tube electronics, and some of the most eye-catching turntables and tonearms around. I’d briefly visited him in New York just a month before. This time around I wanted a longer session. Two months ago, in "Developing a Philosophy of Sound," the first half of this feature interview, Andrew Jones focused on the studies, experiments, and experiences that underlie his thinking about sound, especially as it applies to his loudspeaker designs. Jones describes it as "A balanced design approach which maximizes, along multiple parameters, real-world performance and original artistic intent across the musical spectrum." 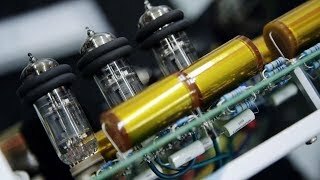 In Part Two we discuss Jones’s role as Director and Chief Engineer of TAD Laboratories, how he has applied his philosophy to the speakers he’s designed for TAD, and the systems he builds around those speakers at international audio events. One of the highlights of 2011 for me was the opportunity to interview Andrew Jones, Director and Chief Engineer for TAD Laboratories. Jones not only designed TAD’s state-of-the-art Reference One ($78,000 USD per pair) and Compact Reference ($38,000/pair) loudspeakers, but also Pioneer’s SP-BS41-LR bookshelf model, an outstanding value at a low cost ($150/pair). Talented and engaging, Jones has had a fascinating personal and professional history in the world of high-performance audio. While our discussions ranged widely, they ultimately revolved around his philosophy of sound and the role it plays in his speaker designs. The exchanges in this segment focus on the studies, experiments, and experiences responsible for Jones’s formulation and refinement of his philosophy of sound. 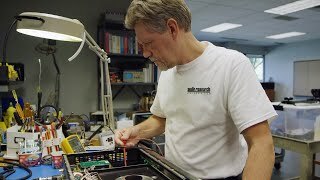 The final installment will focus on his role at TAD Laboratories, the implementation of his philosophy in TAD’s speaker models, and the systems he builds around those speakers at international audio events. 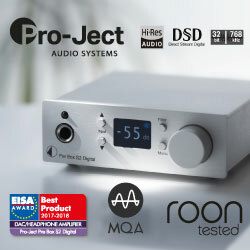 If you’ve kept up with the audio trade shows of late, such as the annual Consumer Electronics Show, and perhaps even wandered into a Magico demonstration to hear their speakers, you’ve probably also heard a pretty ambitious music server that was also demonstrated in June 2009, at the Computer Audiophile Symposium in Berkeley, California. 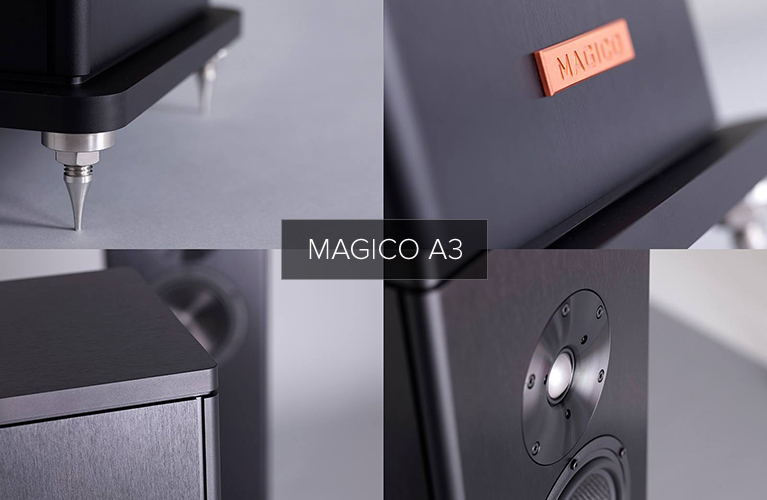 The fellow who developed this unique audio component did so because Magico wanted the best possible source with which to demonstrate their loudspeakers. Since music servers have been an area of increasing interest to audiophiles worldwide, we wanted to learn more about them from Matan Arazi, the designer of the Audeeva Conbrio music server.